On November 17, once again, many buildings all over the world were gleaming in purple to celebrate World Prematurity Day (WPD) to raise awareness for the challenges preterm babies and their families have to face worldwide. Purple lightings and the typical sock-line with 9 white baby socks and one smaller purple baby sock have become widely used symbols of World Prematurity Day. This year, for the first time, one of the most famous landmarks of Munich, the Olympic Tower, was illuminated in the official purple color of the founders of World Prematurity Day, the European Foundation of the Care of Newborn Infants (EFCNI) and partnering parent organisations. The Olympic tower in Munich was opened in 1968 and is integral part of the Olympic Park that hosted the Summer Olympics in 1972. While the people of Munich enjoyed the beautiful and magical view of the illuminated tower on 17 November 2018, they were reminded of all the babies that are born too early every year and it was emphasised that society needs to take better care our most vulnerable babies and their families. WPD was initiated 10 years ago by EFCNI and partnering European parent organisations. The international co-founders LittleBigSouls (Africa), March of Dimes (USA) and National Premmie Foundation (Australia) joined the celebrations and made World Prematurity Day an intercontinental movement which is today supported by many important international organisations, like WHO or UNICEF. Just like in the past years, also this year many landmark buildings around the world have been illuminated in purple to commemorate WPD, e.g. the Chain Bridge in Budapest, the Erasmus Bridge in Rotterdam, the New York Empire State Building or the Niagara Falls. 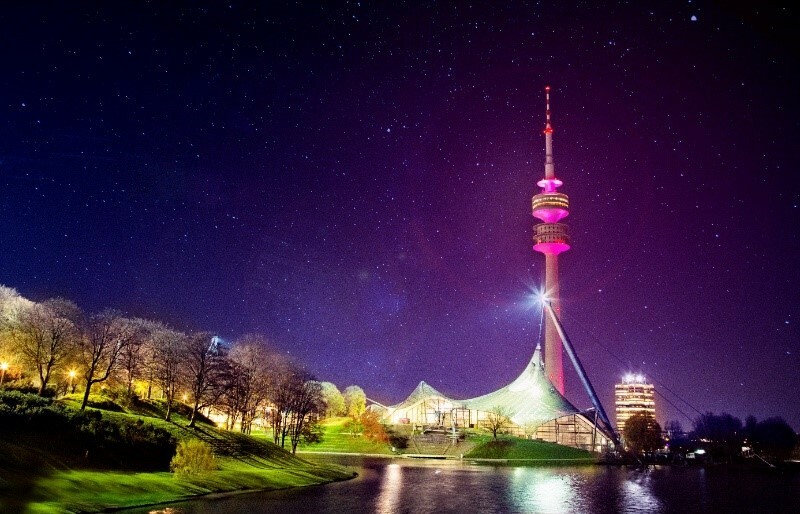 Our particular thanks go to the City of Munich and its public company Olympiapark München GmbH for making the illumination possible and to Munich’s mayor Dieter Reiter for supporting World Prematurity Day with an official statement.